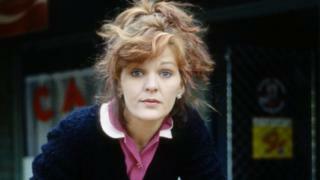 Her character, the tragic wife of taxi driver and gambling addict Ali Osman, appeared in the show's opening episode and she starred in the soap until 1989. A spokesman for EastEnders said they were "saddened" to learn of her death. An inquest at Poplar Coroner's Court was adjourned until 3 October pending tests, according to a spokeswoman for the coroner. Ratcliff's first major role was in Ken Loach's Family Life in 1971, in which she played a schizophrenic teenager. The character Sue Osman contended with cot death and her husband's infidelity before she was sectioned and written out of the BBC soap. Ratcliff's other TV appearances after EastEnders included an episode of Maigret in 1992, opposite Michael Gambon.